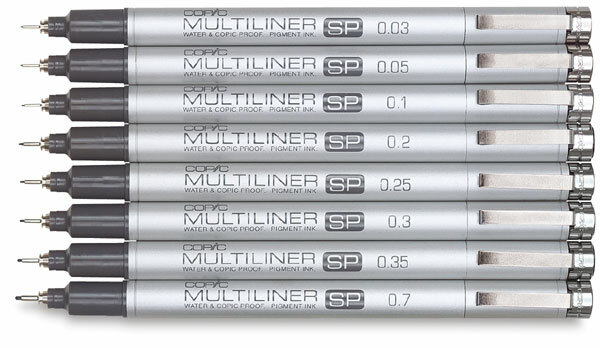 Copic's updated Multiliner SP pens feature a durable aluminum body. The ink is waterproof and pigment based, providing a consistent ink flow. 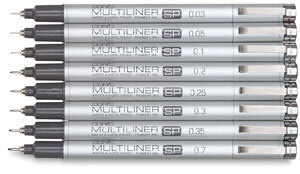 The Multiliner SP pen is also available with a unique brush tip that creates distinctive line variations.